(what's this?) The only difference in Windows vs Mac is the videos included. Windows includes MPEG files, while Mac includes MOV files. 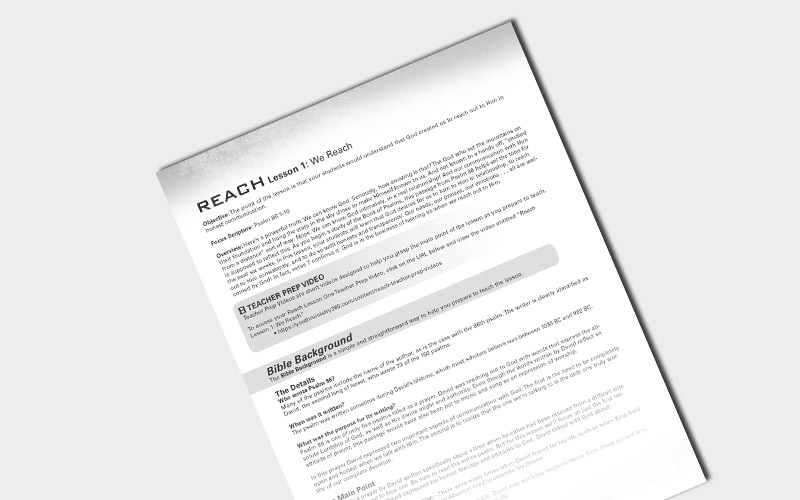 Reach, a 6-lesson Study, will show students how "alive" their communication with God can be by looking at examples of various ways they can reach out to God. And, they'll be reminded of how powerfully God reaches out to them! 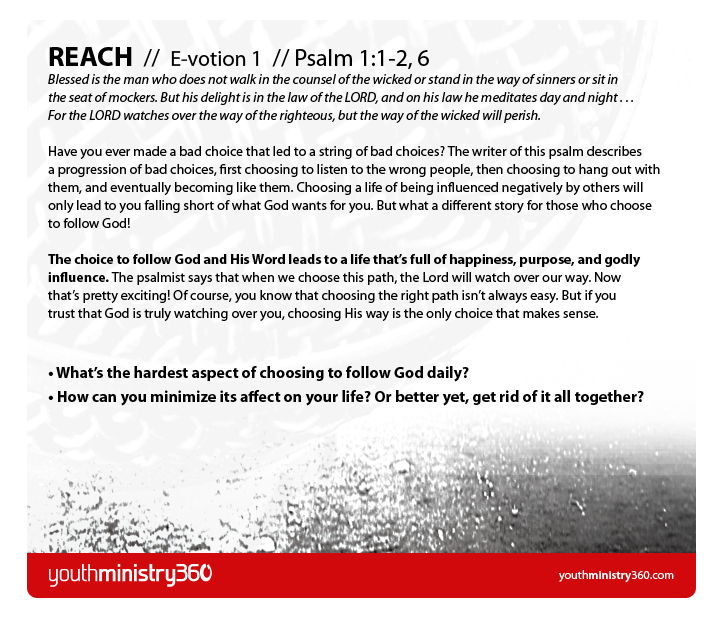 Use Reach to show students what an active and dynamic relationship with God can look like. For thousands of years, the Book of Psalms has provided a voice for God's people to come together and worship Him. But the psalms are much more than a guide for corporate worship. The psalms serve as incredible examples of how we can communicate in relationship with God. They show us how we can reach to God. 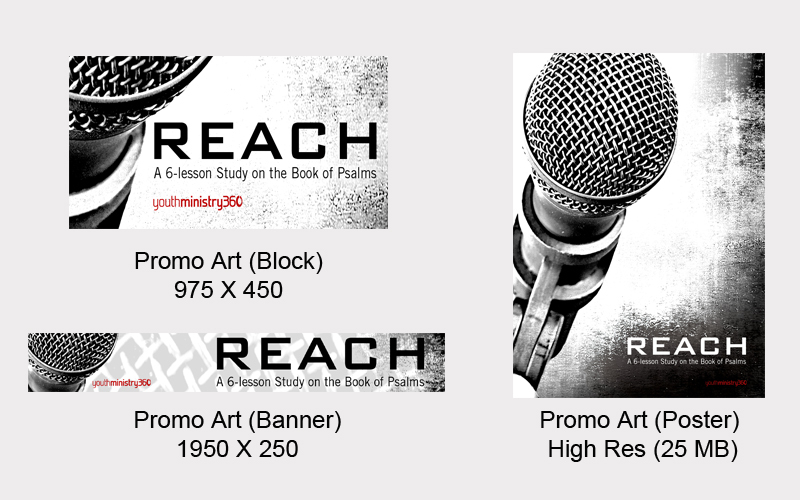 Reach: 6-lesson Study On The Book Of Psalms will show students how to reach out to God and how He reaches out to them! They'll see examples of reaching up to God, reaching out to God, reaching for God's presence, and reaching beyond the present to remember times God acted boldly in their lives. Teach Reach and show your students what an active and dynamic relationship with God can look like. • Reach includes some incredible features; sample them all below. • Depending on teaching style, you'll get 30-40 minutes out of each lesson. • Reach is not a video-based curriculum. The heart of Reach is you (or a leader) teaching the Bible to students using the Reach curriculum. Each lesson in Reach includes interactive media of some sort. Three of Reach’s six lessons begin with a short illustration video like this one to grab your students’ attention and get them ready to engage with the lesson. Each Reach lesson comes with an editable PowerPoint slideshow so you can tailor your presentation to any changes you make in the Lesson Plan. Partnering with your students’ parents to disciple their children is vital. 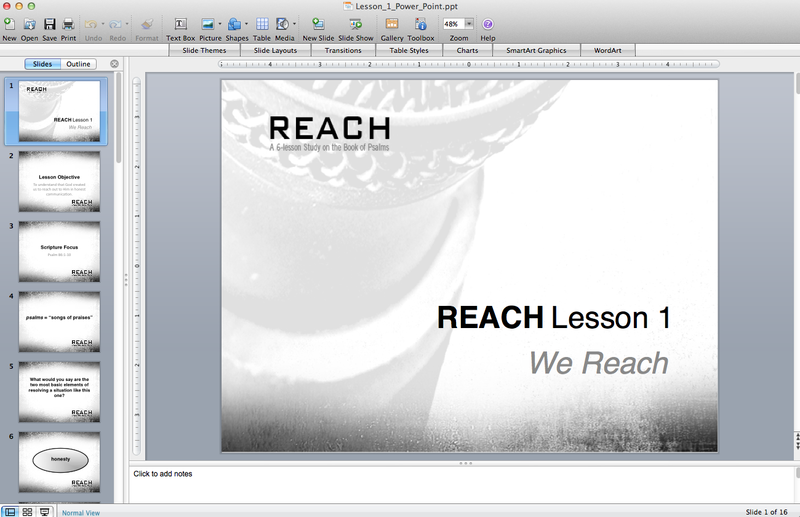 That’s why Reach is complete with Parent Pages in Word and PDF format for each lesson. Each Reach lesson features a Teacher Prep Video, short videos that guide your teachers in exactly what to focus on in their lesson preparation. 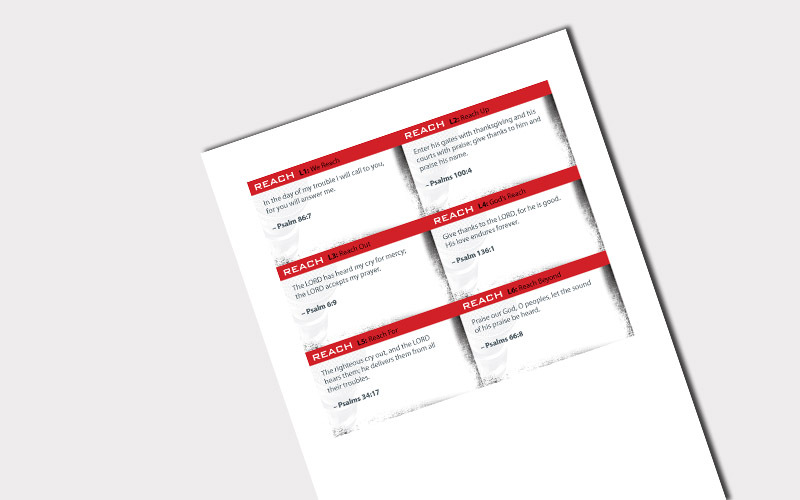 Reach includes a one-page PDF of creatively designed memory verse cards that correspond with each of the six lessons. 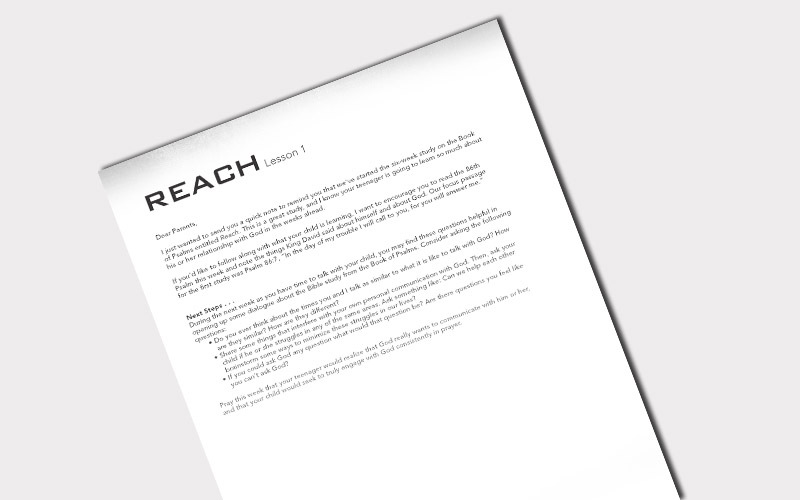 Reach comes with digital files to help you promote your six-week study on the web or around your church.